Have you seen the huge, soft and colorful “monster”, who – in a sprawling, lazy sort of way – sends its limbs throughout the corridors of the Tel Aviv Museum of Art? It is enormous, wending its way from the building’s top level to the ground floor – some 27 meters -- and truly something special. 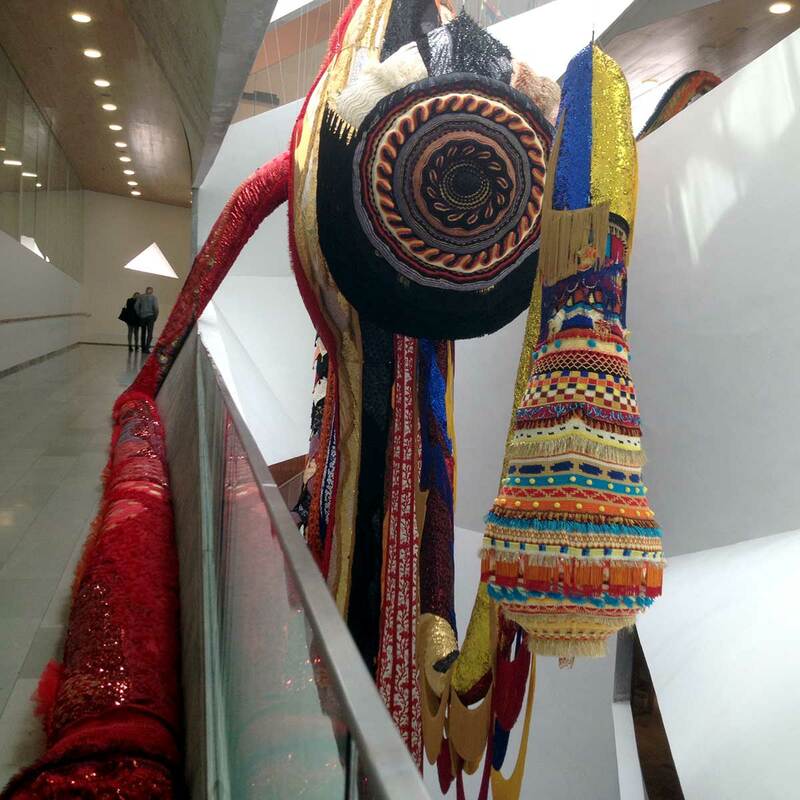 The artist, the Portuguese Joana Vasconcelos, titled this figure “Lusitana” and it is part of Joana’s series called “Valkyries” after the female figures from Norse mythology who affect the outcome of battles and the fate of the warriors. Hmmm… so it’s a woman?? ?